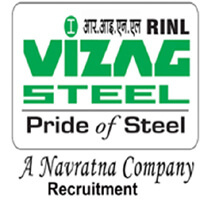 Vizag Steel Recruitment 2019 – Rashtriya Ispat Nigam Ltd (RINL) Jobs for Management Trainees (HR) & (Marketing) through UGC-NET Examination of June-2019. The detailed eligibility and application process are given below. Management Trainee (HR): Bachelors Degree (Full time) as well in MBA / PG Degree / PG Diploma (Full time course of minimum 2 years) in HR Management / Personnel Management & Industrial Relations / Labour Welfare / Social Work (with HR as main subject) from a recognized University /Institute. Management Trainee (Marketing): Bachelors Degree (Full time) as well in MBA / PG Degree / PG Diploma (Full time course of minimum 2 years) in Marketing Management from a recognized University /Institute. Others as per government rules. Candidates shall be shortlisted on the basis of their performance in the UGC-Net June-2019 examination for Personal Interview. Final merit list will be prepared considering the scores obtained by the candidates in UGC-NET June-2019 examination and Personal Interview. UGC-NET, June-2019: The eligible candidates desirous to apply for the post of MT (HR) and MT(Mktg) in RINL are required to appear for UGC-NET examination of June-2019 in the respective Papers. Note: Candidates qualified in UGC-NET of June-2019 only will be considered. How to apply Vizag Steel Recruitment 2019? All interested and eligible candidates can apply for MT Vacancies through UGC NET Exam 2019 latest by 30 March 2019. Eligible candidates can apply at Vizag Steel website from 20 July 2019 to 9 August 2019.